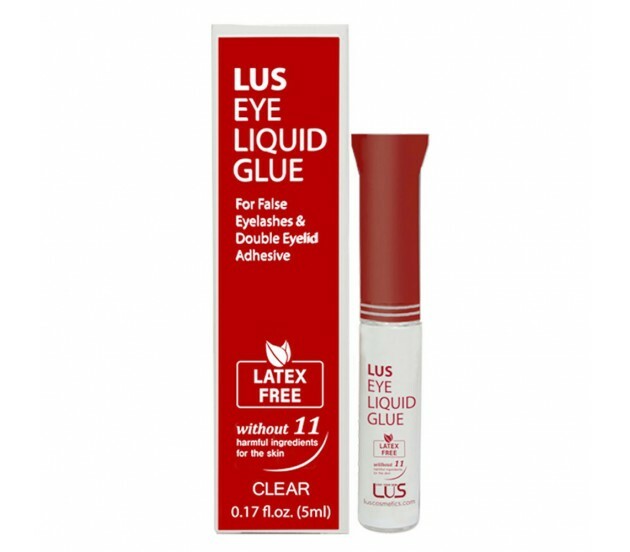 LUS Eye Liquid, for making beautiful double eyelid and applying eyelash, two way use in one. Now you can use LUS Eye Liquid to make beautiful double eyelid or apply eyelashes to your eyes. Use the two stick to apply for the double eyelid, thickness is your desire. And for the eyelash, apply the liquid on the eyelash and wait till the liquid becomes clear and apply the eyelash right on top of your real eyelashes, closer to your real eyelash makes it more natural and beautiful.